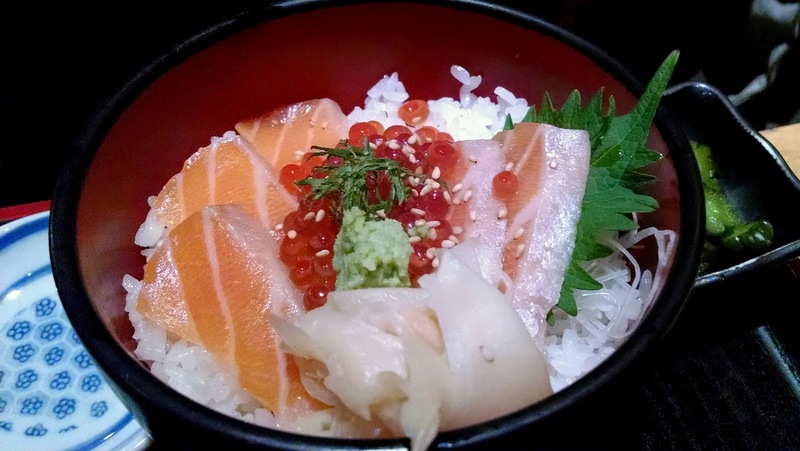 Feelings: Sakagura is hidden in the basement of an ordinary office high rise in Midtown East. The building is located right next door to another tasty Japanese spot, Soba Totto, so make sure you do not confuse the two. Either way, the result is a tasty confusion. Once you reach at this basement destination of Sakagura, you feel as if you are in Japan. A flight of stairs has replaced the 14 hour plane ride. At night, this is a traditional izakaya and sake bar, however during lunch, Japanese business men in suits and expats occupy the space for the taste of Tokyo style soba and donburi. 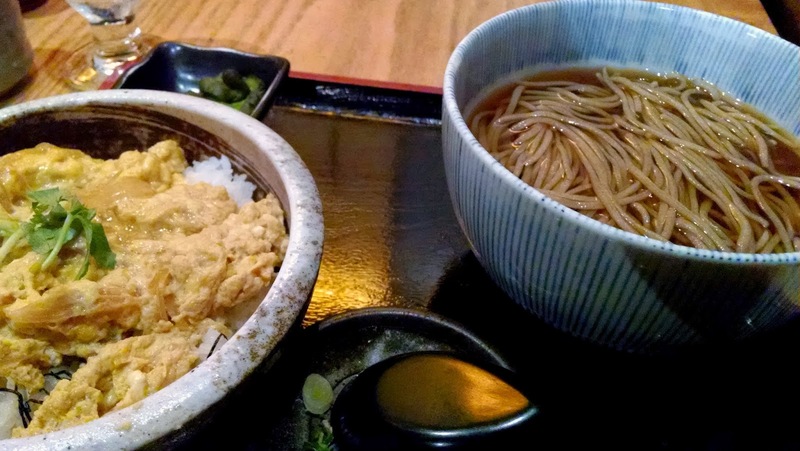 The daily lunch soba set menu, $11.50 is a great deal, and if you happen to have extra cash, why not order a $20 sea urchin soba (only seven servings per day)? Soba+donburi set ($13.50 to $22) is excellent in portion. My tamago don ($13.50 with soba) tasted just like in Japan. The soba was overcooked, but this isn't a soba restaurant after all. 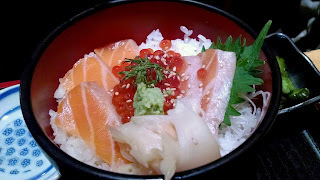 AP enjoyed his sake ikura don set ($19 with soba) which came with extremely fresh salmon sashimi and salmon roe. Lunch at Sakagura is a little Japanese oasis in Midtown. It definitely makes you forget that you are actually dining in a basement in Manhattan. There is usually a long wait for a table, so make sure to call for reservation.